Our guide to Ceramic Tile offers detailed descriptions of companies such as Ann Sacks and American Olean. Manufacturing source for subway, hex, bullnose and other specialty tiles. Founded in 1923, the company is owned by Daltile Corporation and offers a wide array of ceramic tiles including traditional glazed tiles and those that resemble slate and other natural stone. Art glass, lucite, terra cotta, natural stone and ceramic are among the premium designer tiles offered by this manufacturer. Tiles are carried in company stores as well as through independent dealers. Family-owned New Hampshire company prides itself in its "green" production of tiles with native American materials. Importer and distributor of glass tiles with a nifty website full of design tools. Hakatai specializes in custom glass tile projects including mosaics and murals. Speciality manufacturer of handcrafted copper sinks, tiles, tubs and accessories. Neal Andersen creates beautiful high relief decorative ceramic tiles and tile murals. This major American manufacturer of porcelain tile has also become dominant in the green market with lines of metal, recycled ceramic and recycled glass tiles. Portland, Oregon family owned company designs and create ceramic Arts & Crafts, Art Nouveau and Art Deco styles. All tiles are handmade using old world methods including tubelining and cuerda seca. Connecticut company designs and makes high-end bathroom furniture, kitchen and bath faucets, tubs, accessories and home furnishings. Company imports and sells wall, floor, and mosaic ceramic tiles from Turkey, Portugal, Italy, Spain and other countries. Italian company is a leading international manufacturer of ceramic floor and wall tiles. This small, family-owned studio specializes in handmade Craftsman style tyles and clocks. Artist/owner produces handmade ceramic art tile in nature-inspired motifs. Artist Janet Starr works in this studio, producing Arts and Crafts tiles by the Cuenca technique of hand pressing. Retailer of tiles in a variety of styles and materials. From a variety of skilled artisans, this store offers Arts and Crafts furniture, lighting, ceramics, artwork, textiles and metalwork. Artist sells custom, hand-painted ceramic tiles for murals in kitchens, backsplashes and bathrooms. New Jersey company imports slate, sandstone, flamed granite, limestone and quartzite for countertops. Company imports and distributes granite, marble, slate, limestone and other natural stone slabs and tiles. Pennsylvania company cuts and installs granite and marble for countertops. Also supplied granite tiles. 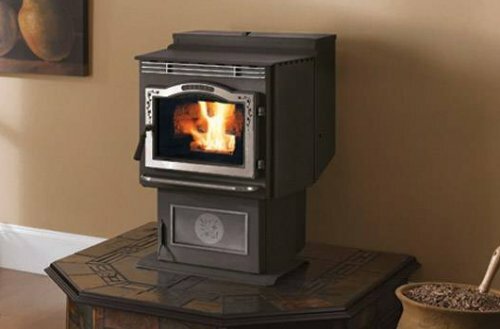 A mid-sized pellet stove with an optional battery backup. 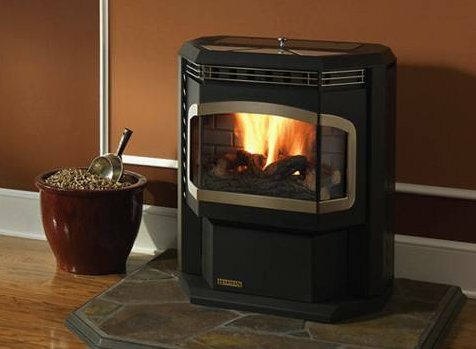 This powerful pellet burner offers a slim profile.